The crying woke me up again. With that classic newborn sound, working itself into a cadence, my son’s callow voice finally punched through my snoring to tell me he wants breakfast. I reached over for my phone to check the time—oh, a news update—a bomb in Baghdad has just killed dozens. I wiped the sleep from my eyes. Time to enter back into the nightmare. But it’s not the nightmare of violence in the Middle East, or the generic nightmare of life in a fallen world. I’m talking specifically about the American Nightmare—the one where millions of us are murdered, and their body parts are sold for profit, all by an organization our government keeps saying we should appreciate. We know ISIS is sadistic, but at least it’s “over there”—we embarrassingly assure ourselves. Nightmares, on the other hand, have proximity. Nightmares are horrors brought home, in our heads, at our doors, standing by our kitchen sinks. It’s possible, I suppose, that I could doze off and have a bad dream of a middle-aged abortionist, as wide-eyed as Cruella de Vil, driving a yellow Lamborghini packed tight with the severed limbs and organs of aborted babies. I suppose I could imagine her speeding recklessly through my hometown, weaving down a well-worn road I never knew existed, her hands stained with blood as she grips the steering wheel and laughs at how stupid the rest of us are. I suppose I could fall into a terror like that in my sleep, but I haven’t, and I don’t have to. 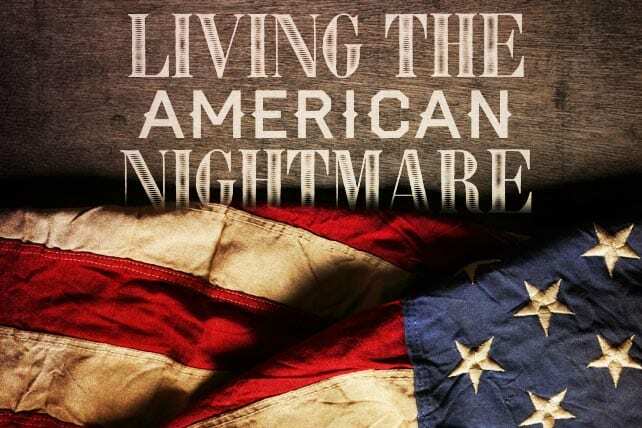 We can find enough horror like that when we’re awake, here in the American Nightmare. So we tiptoe around for a bit, and then carefully crack the blinds to see who’s there. But that’s when we see an image of ourselves standing in our backyards, loving what we love, doing what we do, or not loving and doing what we don’t love and do. That’s when we figure out we’re actually living in this nightmare, which is partly what makes it a nightmare, and partly what confuses us about what to do next.